Antigua and Barbuda travel is very popular, especially vacation on the bigger of the two islands - Antigua. 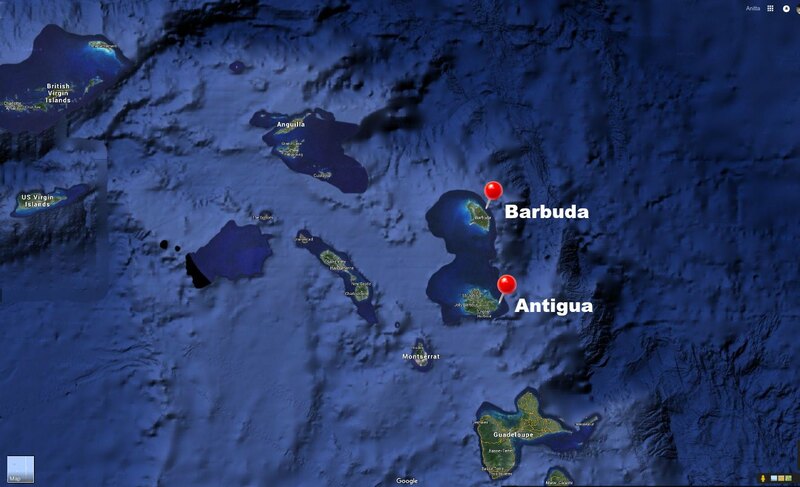 Barbuda is a relatively small compared to it's sister island Antigua. Antigua is the most popular destination for tourists, thanks to its beaches and abundance of beautiful natural settings, untouched by civilization. Visitors and locals can easily find a wide variety of attractions, tours, hotels and things to do in general, when visiting Antigua. Day trips to Barbuda are available for Antiguan travelers who are looking for even more nature and wildlife adventures. 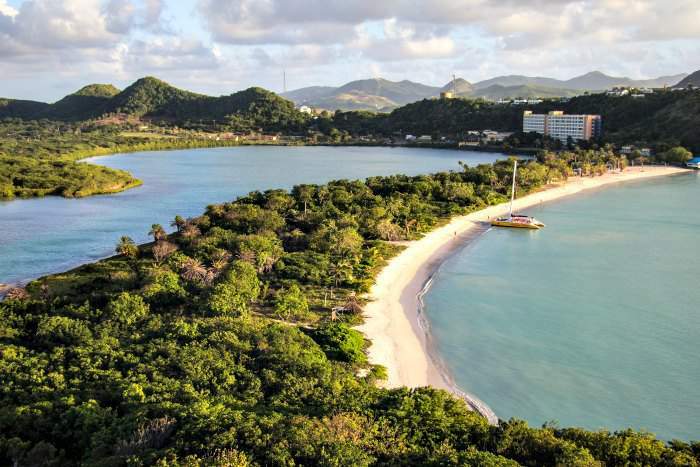 Read on for Antigua and Barbuda travel tips. Why travel to Antigua And Barbuda? Antigua is a great destination for your next travel. There are 365 beaches located all through the shores of the island, and as the locals say "each beach can be used once a day for the entire year, which is 365 days". Having a wide variety of beaches, gives you a great opportunity to try out many shore lines and enjoy your time near the water. Antigua is a major sailing centre, this is where you will be able to discover and visit Antigua's most popular historical destination - Nelson's Dockyard. A wide range of activities & sightseeing are available on Antigua. Since Antigua is famous for its' sailing, you can find boat tours, fishing, diving, sailing and snorkeling activities on the island. Enjoy a horseback ride or simply play golf on the beautiful green fields - your Antigua travel is sure to leave a lot of memories to bring back home. High season in in Antigua and Barbuda runs through mid-December through April. However, if you travel in between those times you can get a fair amount of a discount (more or less at 40% off). You get the real deal if you book air+hotel package at the same time. Please keep in mind, that a significant number of restaurants and other establishments such as small hotels and attractions in Antigua and Barbuda are closed from August to October, especially around the area of English Harbour, so it's best to avoid booking your Antigua travel in those 2-3 months. Where is Antigua on the map? Antigua and Barbuda is a twin-island country located between the Caribbean Sea and the Atlantic Ocean. The island consists of many small islands; however, the two major inhabited islands are Antigua and Barbuda. 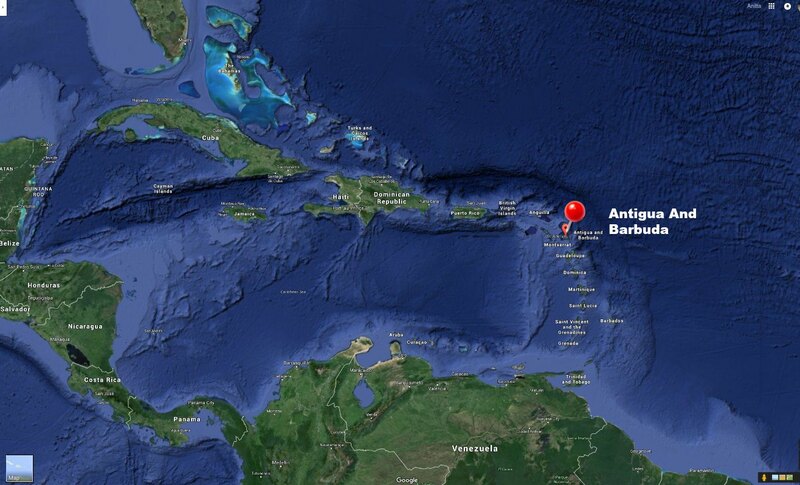 Antigua and Barbuda are about 692 kilometers (430 miles) off the coast of Venezuela. Antigua is the largest of the Leeward Islands (a.k.a.Lesser Antilles) and its' area is calculated at about 280 km2. 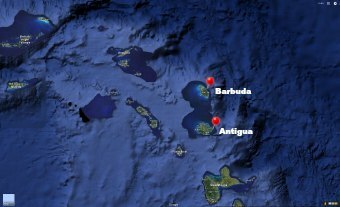 About 40 kilometers (25 miles) northeast of Antigua located its' small sister-island Barbuda, with an area of 161 square kilometers (62 square miles). St. John's is the capital city of Antigua, which is located on the west-end of the island Antigua. St.John's is home to two medical schools. One of them is American University of Antigua and the other is University of Health Sciences of Antigua. The main airport that is attached to St. John's is called V.C. Bird International Airport, this is where all the flights with tourist arrive and depart from. St. John's is famous for it's wide variety of high-end couture clothing stores, designer jewellery pieces and vast amount of shopping in general. There are a lot of historical sites to see in St.John's. For example, attend a St. John's Cathedral with it's superior white baroque towers or simply visit one of St. John's museums, stadiums or a lighthouse located in the city's harbour. Antigua's capital St. John's attracts many tourists as well as locals, especially to it's only Antigua's Rum Distillery. The estimated mid-year population in Antigua in 2016 is 92,084. So far the population has increased 1% since the year of 2015. According to statistics, there are 47.5% of male population, and 52.5% of female population in Antigua. Antiguan and Barbudan residents are creole people. The religious belief of most Antiguan families is Christianity. 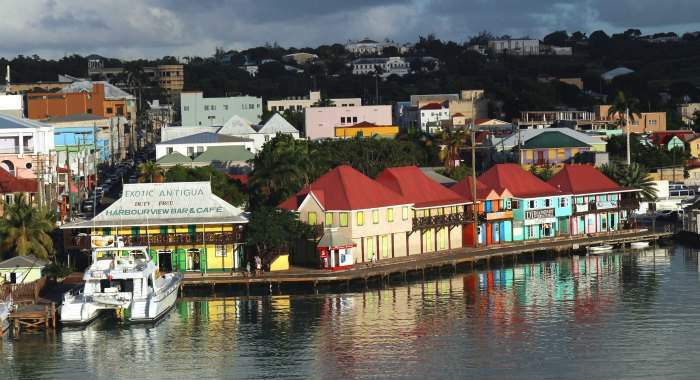 Even though the official language of Antigua is English, you can still hear locals speak the Antiguan Creole (which is an Antiguan form of a dialect) that is spoken among the locals that reside further away from the large cities. Interesting to know that about 96% of the Antiguan inhabitants are of an African decent, whose ancestors were slaves that came to the Antiguan island many centuries ago to work in the sugarcane fields. 4% of Antiguans are of a white descent and some of them can likely trace their lineage back to slave owners. Women in African families live by the old family standard rules and are forced to do labour work outside of their homes. Another fact about Antiguan locals is that back in the days, during the plantation season, building tiny houses was a must for the plantation workers. Those houses were called "chattels" and appeared to be tiny houses that had to be movable. The reason the chattels had to be portable was because workers were fired off their jobs without any kind of notice. They had to vacate the land where their house was situated fairly quickly, so building something that they could move and take with them in the case of letting go from a job was crucial. English is the official language in Antigua & Barbuda and is widely spoken on the islands. Barbuda has its' own accent, which somewhat differs from Antiguan. A large number of locals speak Antiguan Creole, where some of the words and pronunciation are somewhat identical to the English spoken in Antigua, but that is most typical to hear in villages, not large cities. Even though most locals speak Antiguan Creole, education system and instructions are taught in English. Some of the Antiguan residents are immigrants from the United States, Dominica, Guyana and Jamaica. Spanish is another language that you might hear during your Antigua travel, but only where the Spanish-speaking immigrants develop their villages etc. It is very easy to get to Antigua. Several airlines fly there a few times per week, so there is absolutely no problem getting to the island. However, if you are planning on going to Barbuda, then a boat or a ferry is there for your convenience. Even though a boat or a ferry to Barbuda runs 5 days a week, a suggestion would be to check out their schedule in advance to make sure you are able to get there in the days that the boat runs to Antigua's sister island. The departure tax at St. John's V.C. Bird International Airport is approximately $37.00 and is usually included in your airfare. In case it is not, an airport check-in agent will ask you for a payment and will accept either U.S. or EC currency in cash only. Antigua offers a selection of travel options all inclusive resorts, that are all-inclusive resorts, couples-only all-inclusive resorts, adult-only all-inclusive resorts, optional all-inclusive resorts, villas and cottages, apartments and condos. For those that choose to stay at an optional all-inclusive resort, please remember that dining options that are located within the resort are not all-inclusive. You would be responsible for purchasing your meals separately every time you go to eat. All-inclusive rates are also available at the resorts in case you change your mind and would like to switch upon arrival. In that case, onsite dining options, beverages and other amenities (depending on your resort/hotel) would be included in all-inclusive rates for your Antigua travel. Ever wondered what kind of food plays a very important role in Antiguan culture and cuisine? Mostly corn and sweet potatoes are the two very popular ingredients used when preparing Antiguan dishes. One of Antigua's staple foods is "Fungi". Fungi the most authentic but simple Antiguan dish that is a cooked paste of cornmeal and water. Another traditional fare in Antigua is known as "Dukuna", which consists of sweet, steamed dumplings that are grated from sweet potatoes, flour and some spices. These two are the most favourite Antiguan dishes and are a must-try when visiting the island. The best and most pleasing weather in Antigua is when it is a high season on the island. You will discover less humidity, intense heat and mosquitoes from about December up until May. The most popular and expensive season runs from November to February. Overall, the rainiest period in Antigua is between September and November, and the coolest period is from December to February. Temperatures in Antigua average at 27 °C (80.6 °F), with a range from 23 °C (73.4 °F) in the winter to 30 °C (86 °F) in the summer and fall. There's a very small chance of hurricanes in Antigua and Barbuda some time between June and November. The last serious hurricane Lewis happened in 1995. Public transportation in Antigua consists of private buses of various sizes, and taxis. You will be able to spot "BUS" for buses or "TX" for taxis on their yellow license plates. All taxis have fixed fares, which is closely regulated by the government, so you will not be cheated on when paying the bill. All taxi drivers are required to keep a copy of the rates inside their vehicles in case a customer inquires about it. What's great about taxi cars in Antigua, is that they are easily found at an airport and at every hotel so you can easily see around during your Antigua travel. Buses in Antigua operate on a firm schedule; however, a bus driver can regulate his/her departure times. Buses generally run from 5:00 a.m. to 6:00 p.m., and when boarding the bus, you will be able to look at the bus schedule attached to the front window. All buses are owned by private companies, that use mini-vans as buses, so that is why it is important to always check out their license plates, so you won't find yourself confused if you sat in a taxi rather than a bus and vice versa. Renting a car in Antigua is no problem at all, since you would need it in case you want to explore Antigua or visit one of its' finest restaurants. Bring your valid Driver's License with you and make sure to obtain a temporary permit from the rental agent. Remember, driving is on the left-hand side and because roads in Antigua are somewhat bumpy and are covered with potholes, a 4-wheel-drive vehicle would be the best choice when choosing a vehicle for rent for your Antigua travel. Speed limit is at 40 mph, but it is not too well-enforced. The local currency in Antigua is the Eastern Caribbean dollar (a.k.a. EC$). The same currency is used in St. Lucia, Dominica, Grenada, Saint Kitts and Nevis, Saint Vincent and the Grenadines, Anguilla and Montserrat. American currency is accepted almost anywhere in Antigua; however, please expect the change to be in EC$, the local currency. Most hotels, restaurants and big popular establishments accept major credit cards, but if you are using an ATM, be prepared the machine will dispense EC dollars. Tipping in Antigua is common just like on any other island and/or resort. When paying your restaurant bill, you will notice that a 5% charge is added in addition to you regular service percentage. Taxi drivers get tipped 10%, bellmen about $1 per every bag they help you carry, and maids normally receive $2-$3 per night in tips. This is a friendly reminder, that there is no need to tip if you are staying at an all-inclusive resort, hotel or lodge, unless a staff member did something over the top to assist you on your Antigua travel. While you are travelling in Antigua and enjoying your time at the beach, you might be approached by the Antiguan vendors, that sell souvenirs and other things. However, the Antiguan government has made it a law that all the vendors need a license in order to be on the beach and sell their merchandise. If you do spot a vendor approaching you, do not panic, they do not harass nor are pushy. If you are not interested in purchasing the items just tell them "No Thank You" and they will politely move on. Antigua is a generally safe place to vacation, just follow your regular safety rules and exercise normal precautions when travelling to Antigua. Avoid being or walking alone on the deserted streets in the dark, outside your resort, do not be too flashy, and always be aware of your surroundings. Keep your valuables with you at all times or best to keep them in a hotel. Having said that, for those that like to party at night, there are quite a few restaurants, lounges and other establishments outside of the resorts. Do not leave your resort unescorted and always walk in the middle of the road. If you are travelling by car, and get flagged by the locals, do not stop and just continue driving. These are general safety precautions that should be taken into account and followed at any place you go. Tourists and visitors can rest assured that the water in Antigua & Barbuda is safe to drink. For those that are concerned about drinking and cooking with Antigua's water, we suggest buying either bottled water or there are big 5 litre jugs available for purchase as well. The water is very affordable and will provide a peace of mind for those that are adapted to drinking bottled water. Electricity in Antigua is 230 volts, although some resorts started to use 110 volts. It's best to inquire with the hotel which voltage they are using. If you are bringing any electronic devices for your Antigua travel that are not dual-voltage, bring and adapter to be on the safe side.